The clock is ticking down to National Novel Writing Month and writing 50,000 words in 30 days. Crazy idea that I discovered back in 2007 and have participated in ever since. It's stressful, time consuming and wild, but fun as you create a story while ignoring your inner editor as well as household duties and other activities for 30 days. It helps if you have understanding family members who are aware all your energy is going to be taken up with writing. 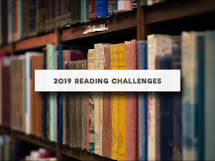 I had thought of bypassing the whole challenge this year but between my husband encouraging to join in again and a wonderful idea that's been growing by leaps and bounds, I decided to do it once again. Guess it is turning into an annual thing. The goal is to simply write and hopefully by the end of the month, you have the makings of an interesting story. Of course it will need loads of editing, but that's all part of the writing process. Plus the process of sitting down and writing at least 1667 words a day forms a habit so by the end of the month, if you aren't already in the habit of writing everyday, it will have become a habit. So, just to let you know if November's Sunday posts are a bit short or perhaps wacky, you'll know the reason why. There are lots of writers who are pantsters who basically just write, fly the seat of their pants and make things up as they go, without any planning. Then there are the plotters - those who outline, create character sketches, and map out their stories. I lean more toward plotting, than pantster. This year I found a great book to help me out - K.M. Weiland's Outlining Your Novel: Map Your Way to Success which is available in both book and ebook format. It is chock full of useful information and highly recommend it. There are several authors out there in the blogosphere who are very encouraging when it comes to NaNoWriMo and have been posting tips on their websites. Larry Brooks who wrote Story Engineering: Mastering The Six Core Competencies of Successful Writing as well as several fiction novels has come up with 31 Empowering Posts in 31 Days. Alexandra Sokoloff, who writes spooky, scary mystery thrillers which I really enjoy as well as Screenwriting Tricks for Authors has come up with a series of great articles which are immensely helpful. Anyone else joining in on Nanowrimo this year? Nanowrimo scares me, maybe I'll try it again later. sigh, got to get my wips out of storage first. I'll be watching for you on the list! I've tried NaNoWriMo twice now. I find November is just too busy a month for me. I'm in throes of educating my own children and preparing for Thanksgiving and Christmas. Just too much to do. I never get very far. My kids are excited about the April script writing month though. They are waiting for that! I have done Nano 3 times and won twice. MY 2009 project was a nonfiction book that is now published, Write-A- Thon. My goal is to help other writers who want to do NaNo overcome their fear and jump in. I will be blogging all through the month at my site, writenowcoach.com. Not sure what my project will be this year--but I have a week to figure it out! One of my friends wrote a sci fi book during that challenge a few years ago. Very inspiring! I don't know if I have the guts to attempt it yet though. I'm madly trying to wrap up other projects so I'll have the time...but I don't think I'll make it. Two of my kids are doing it, though. Thanks for all the links to writing resources!